The Senci SC10000-II has a strong and rugged design, weighing 94kg it comes installed with a wheel kit and carry handle making it portable and easy to move. The SC10000-II is made for big work. 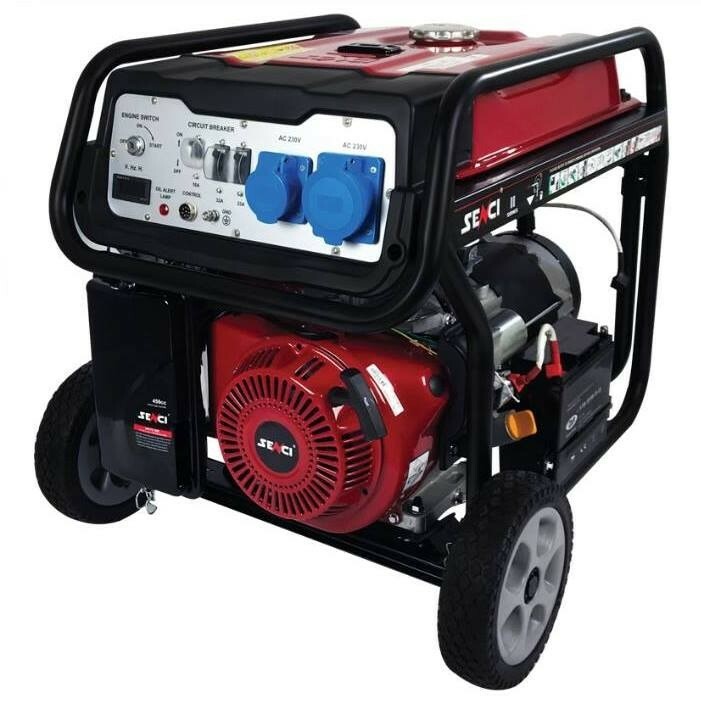 It's a reliable generator, with a max power of 8kw running up to 12 hours @ 50% load. New air cleaner, small unique design, exhausted oil gas combusted in carburettor for the second time through a special-design pipe, free from oozing. CONTACT FOR A QUOTE .